Are you aware that in order for you to renew your Massachusetts Plumbers/Gasfitters license you must complete continuing education in accordance with 248 CMR section 11.04? This entails 12 hours of class time for plumbers or 6 hours of class time for gas fitters for each renewal cycle. Contact course instructors John MacDonald or Dave Brogan to reserve your space. Classes will be held either two consecutive weeknights or a Saturday per month. Must have picture ID and valid Mass Plumbers/Gasfitters License! If you are more than 10 minutes late you will not be able to attend the class ! 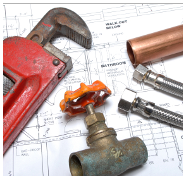 Course material and instructors approved by Massachusetts State Plumbing Board. Standardize interpretation and enforcement of the Massachusetts Plumbing Code, Clarify code, minimize grey areas, help strengthen the plumbing industry, and communicate industry changes assist the Plumbing Board and communicate to all local levels.